The Tech golf team begins their spring season Feb. 5 in Kohala Coast, Hawaii where they will be playing in the Amer Ari Invitational. Last year, the Jackets finished in fourth place. With a veteran team, the Jackets look to improve this year. Tech had a successful fall and come into the spring ranked as number two in the nation. In their four tournaments this fall, the team had two first-place and two-second place finishes. 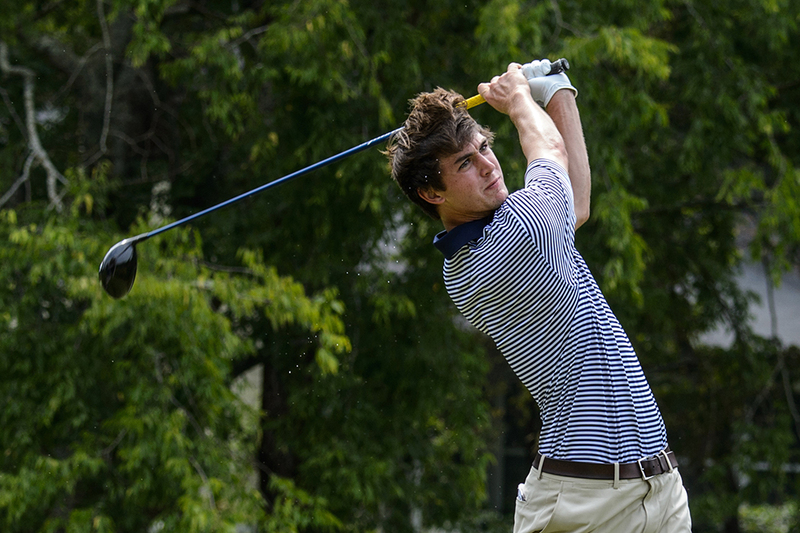 Junior Ollie Schniederjans led the Jackets individually with two first place finishes as well as a third and fourth place finish. After the fall season, Schniderjans was named “Player of the Mid-Season” by Golf World Magazine and is the number one college golfer in the Palmer Cup Rankings. Schniederjans is from Powder Springs, Ga. and attended Harrison High School and has been playing golf for eight years. The Jackets practice in Alpharetta at the golf club of Georgia so the players make the 30 mile trip up SR 400 several days a week to work on their game. The Jackets made it to Final Four match play last year in the NCAA tournament and lost to Alabama, who wound up winning the national championship. However, Tech returns the core of last year’s team, including junior Anders Albertson, who won the individual ACC championship last season with a tournament record score of -15. The team has set its goals high and when the season is over, they want to be able to look back on the year and know they gave it their all. Schniederjans is excited about the team’s upcoming tournaments and is looking forward to getting out of the cold weather of Atlanta. “This is my third year making the trip. It’s a complete blast going to Hawaii. We get to get out of the cold and go to 80 degree weather. We go to the beach every day after we play a round. That trip is probably my favorite because I love the beach and weather. It’s a great field; a lot of the best teams are there. Puerto Rico is another nice break. It’s another great tournament, and that’s where we’re finally going to see Alabama this year. Vegas is arguably the strongest tournament we’re going to see this year and maybe the hardest golf course we’ll play all year. I’m very excited to start the spring with three big tournaments,” Schniederjans said. In the last two decades, Tech has been one of the best and most consistent golf programs in the country. During his tenure, Coach Bruce Heppler has led the Jackets to nine ACC championships and 10 top eight finishes in the NCAA championships. Tech has been national runner-up three times under Coach Heppler. Seven of his Tech players are now members of the PGA Tour, most notably Matt Kuchar, who is currently ranked as the No. 8 best golfer in the world. Heppler was recently inducted into the Golf Coaches Hall of Fame. “Having a strong tradition here is definitely a positive. It’s just a testament to Coach Heppler and all he has accomplished here and great players he has coached. Having him as a mentor as someone you can go to and ask what was Kuchar like [is great]. [It’s] nice to be at a place you know is successful,” Schniederjans said.